Express Employment Professionals is one of the top staffing companies in the U.S. and Canada. Every day, we help people find jobs and provide workforce solutions to businesses. Express provides a full range of recruiting, employment, and training solutions. Farmington Hills and Westland, Michigan Express offices have been in existence since 1995 and are proud to serve our community by helping people find jobs and helping businesses find the people and human resource services they need. Our Farmington Hills and Westland offices are locally owned and operated and dedicated to the mission of helping people succeed. Whether you are starting a new career, re-entering the workforce or supplementing your income, Express has the resources to match you with a job that fits your desires and abilities. From manufacturing jobs to executive recruitment to the administrative positions, Express can empower you to find a job that meets your needs. Full-time, part-time and flexible work schedules are available; however, we focus on helping people find permanent full-time work. And, at Express Employment Professionals, we’ll never charge you a fee to find a job. Learn more on our Job Seekers page. Business decisions come down to time and money, and Express Employment Professionals can save you both. We are locally owned and live and work in our community, but have access to resources through our International Headquarters that allow us to provide staffing solutions and human resource services with a level of service other staffing agencies can't match. We offer a wide range of recruiting and human resource solutions for employers. Your Express team will take the time to understand your business needs. We can connect you with screened and qualified workers in a wide range of Office Services, Light Industrial, Advanced Manufacturing and Professional positions. In 2017, Express received Inavero’s Best of Staffing® Talent Award, a designation fewer than 2% of staffing firms in North America can boast. Surveying workers across all industries, Express received satisfaction scores of 9 or 10 out of 10 by 71% of employees placed, significantly higher than the 47% industry average. 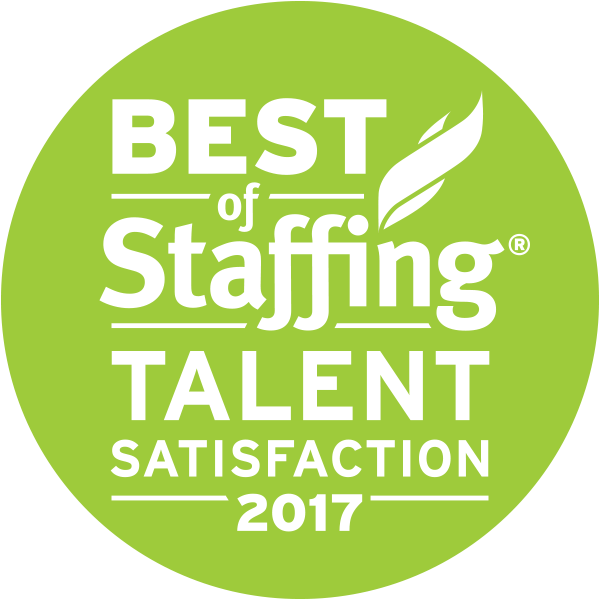 On average, associates working for Best of Staffing® Talent Award winning staffing firms are 3.6 times more likely to be completely satisfied with their employers.